Showing results by author "Frank Hoese"
Sometimes one would like to escape the stress of everyday life for half an hour. Simply to switch off and relax. Perhaps only then we really notice the internal burden that we carry around with us every day. We notice how much energy some things are robbing us of, as they make us tired and unbalanced. With this imaginary journey, you receive the opportunity to simply let go of your burden during a nice walk in nature. You will already feel more inner freedom while you are walking on this imaginary journey. 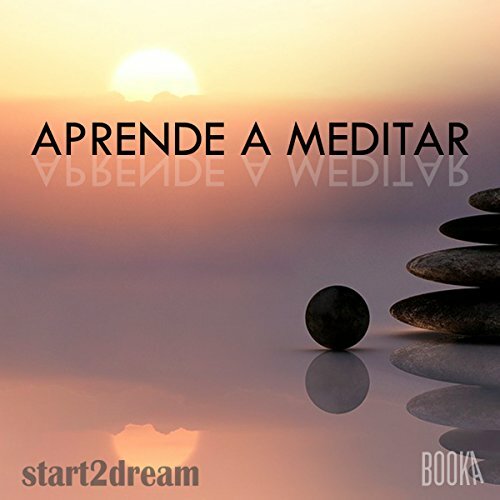 Booka Audiobooks and Start2dream present the 10 most successful guided meditations by teacher Nils Klippstein. 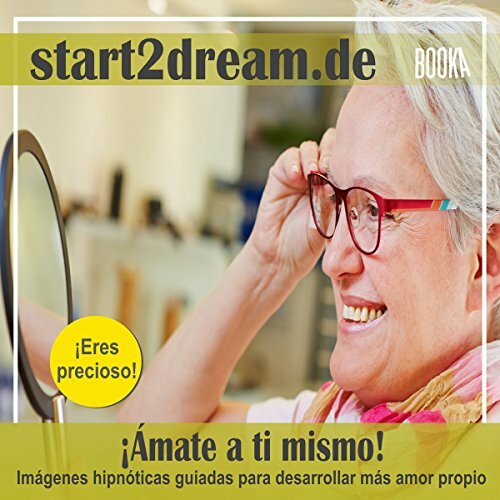 Relax, close your eyes, and let yourself be guided by these deep and sensory fantasy trips, that will help you to get to know you better and provide you with a pleasant relaxation. 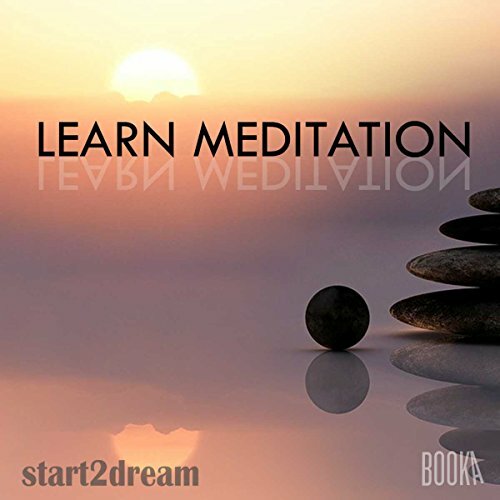 More than five hours of guided meditations will transport you to a world of positive mental images, enriched with suggestions to make profound changes in your subconscious. With a duration of less than 35 minutes, ideal for daily meditation, each fantasy trip will reduce your stress. In this 30-minute guided meditation, you consider yourself and your life experiences from a new perspective: appreciating and accepting are important requirements for clearly recognizing your self-esteem. For many people it is difficult to build up positive feelings for themselves. Self-criticism and disappointment often obscure the unique and unmistakable character of every life. 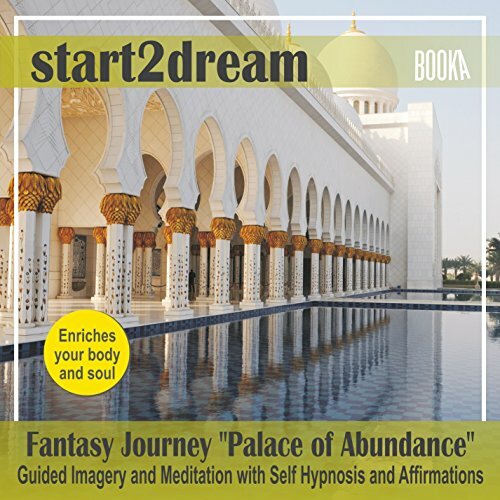 Guided Meditation "Palace of Abundance"
Fantasy journeys for adults can change our thinking by means of specific imaginations. This special guided imagery on the subject of money and wealth is meant to help loosen our inner blockages, which may have prevented us, since our childhood, from admitting what actually belongs to us. A flowery meadow in the mountains, away from the worries of everyday life - a spectacular and glorious sight. What if you could be very tiny and carry out an expedition to observe the wonderful nature and feel its healing power? 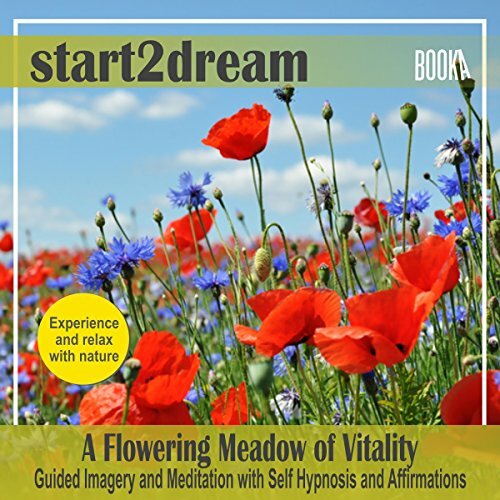 On our imagined trip, you can dive deep into the exuberant vitality of a summer meadow, a feast for the senses in a sea of colors and aromas. After a hard day of work or in a phase of depression, this is ideal to feel vitalized again, to mobilize your strength and self-confidence with optimism. 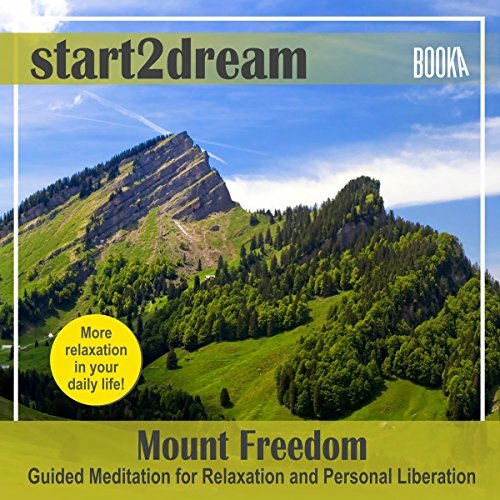 Guided Meditation "Dream Island of Relaxation"
Strip away the worries of everyday life and leave them behind. Set off and recharge with new strength on a beautiful island: Who would not? The guided imagery "Dream Island of Relaxation" leads to a sunny, peaceful island in the sea. There you experience nature and relaxation and make a surprising discovery. And who knows, maybe you will bring a valuable gift from your dream island? Unerwartetes passiert oft dann, wenn wir es überhaupt nicht gebrauchen können - und so reagieren wir mit Ärger und Stress. Das ist zwar normal, aber weder gesund noch konstruktiv. In dieser Phantasiereise lernst du eine Technik kennen, um gelassen zu bleiben und plötzliche Herausforderungen mit kühlem Kopf anzugehen. Wie ist dein Verhältnis zu Geld? Wenn es in deinem Leben zum Problem geworden ist, ist es Zeit, eure Beziehung zu verändern. 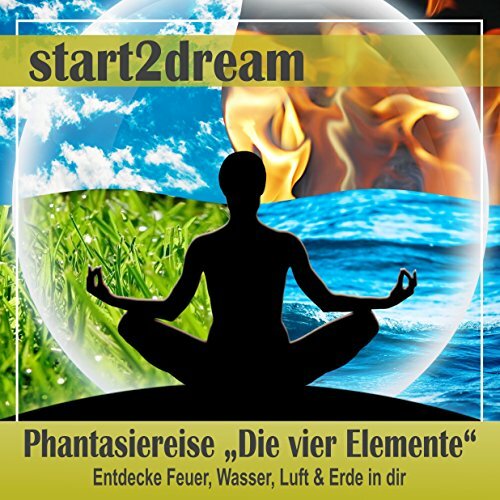 In dieser Phantasiereise erkundest du in tiefer, angenehmer Entspannung, wie du zu Geld stehst. 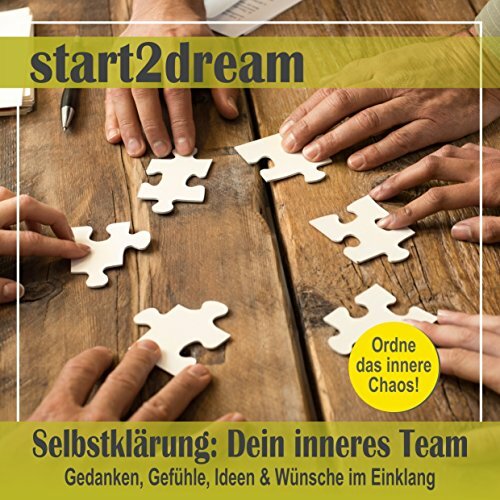 So findest du mehr darüber heraus, woher deine Probleme kommen könnten und was du anders machen kannst. 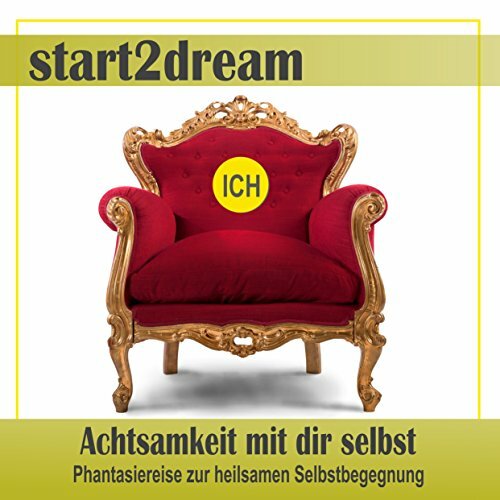 Positive Suggestionen und innere Bilder helfen dir, dein Verhältnis zum Geld neu zu definieren. Manchmal ist es nötig, den Alltag und seine Aufgaben für eine Weile hinter sich zu lassen. Eine ganz besondere Auszeit schenkt dir diese Phantasiereise, in der es einzig um Spaß und Genuss geht: In angenehmer Tiefenentspannung schwebst du in einer magischen Seifenblase zu den Sternen empor, gewinnst Abstand zu Sorgen und Problemen und siehst die Welt aus einer neuen Perspektive.